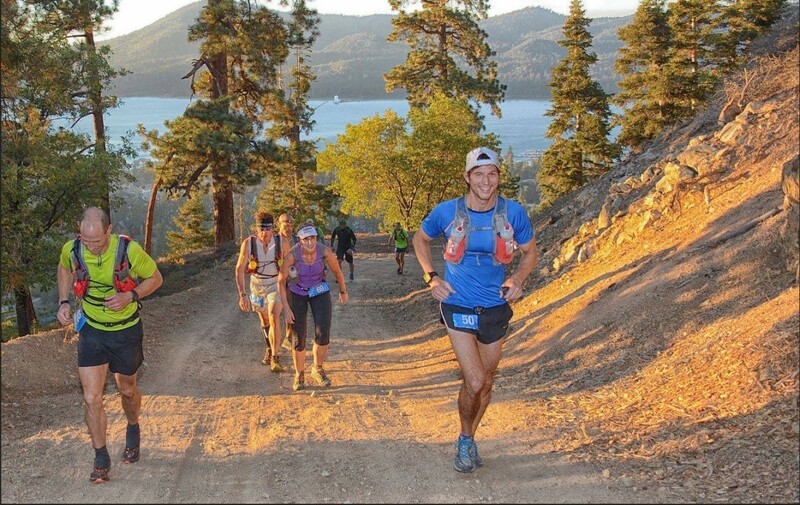 This course is the MUCH anticipated complete loop around Big Bear Lake with the most epic views and climate you could ask for in an Ultra. Period. In 2018 we will be returning to the clockwise direction of travel around the lake! With nearly 17,000′ of vertical climbing and sustained running over 7,000′ in elevation this course will challenge the best ultra runners on the planet. The Kodiak is a true mountain one hundred. Technical. Steep Climbs to 10,000′ summits and cool nights. Gorgeous views. Thin air. Flowing single track. Epic canyon passages. Huge climbs. Welcome to the mountains! Our volunteer and staff will see to it that you have every opportunity to succeed. We pride our selves on the design of this route, the aid stations, and a COOL little town that will host you. Bring the significant other, kids, dogs, what ever….it will be classic late summer season in the Bear.